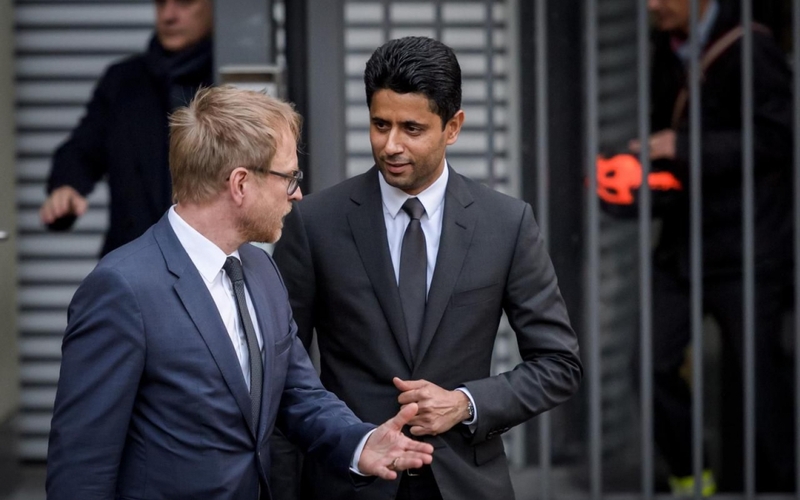 Nasser al-Khelaifi left Bern Wednesday following a daylong interrogation pointing out that he remains available for the attorney if he wants to hear him again in the bribery scandal for World Cup TV rights. Khelaifi who has been chairing the French top club Paris Saint German since 2011 is accused of giving bribe to former FIFA general secretary Jérôme Valcke to obtain TV rights to 2026 and 2030 world cups for BeIN Sports media group that he controls. Under the deal, BeIN is allowed to broadcast the soccer events in the Middle East and North Africa. The charges, which also include criminal mismanagement and forgery of a document target a third man, so far unnamed. He faces similar charges over the purchase of the TV rights from FIFA for the 2018, 2022, 2026 and 2030 World Cups transmissions. In the bribery accusation, Khelaifi has allegedly provided Valcke a 7 million euro villa on the Porto Cervo coast in Sardinia, to use in return for good treatment. Italian legal authorities have seized the Porto Cervo villa. Valcke, who has been facing a 10-year ban from all FIFA activities, denied he received bribe from Khelaifi who also represents Qatar Sports Investments, the owner of PSG. Earlier, a search of BeIN Sports office in Paris was requested. The legal case against Khelaifi might not affect the club and Qatar, which is also regularly accused of corruption in its bid to obtain the rights to host the 2022 world cup, analysts say. Posted by KanelkaTagba on Oct 26 2017. Filed under Gulf News, Headlines. You can follow any responses to this entry through the RSS 2.0. Both comments and pings are currently closed.